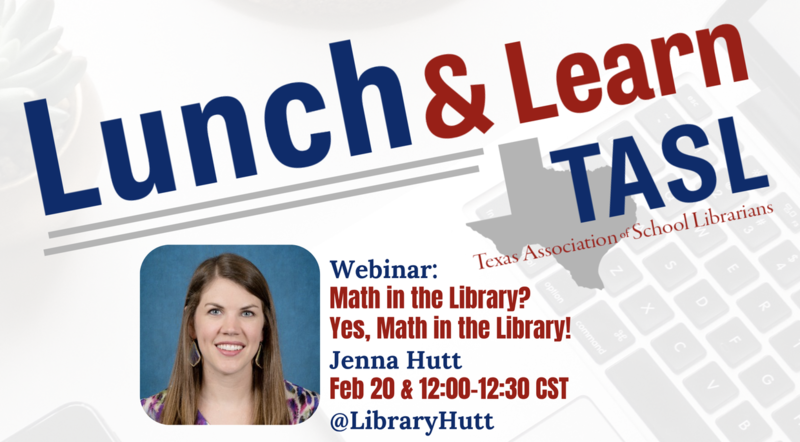 TASL Lunch & Learn: Math in the Library? Yes, Math in the Library! Math teachers and librarians CAN work together! Attendees will see how breakouts can be used, how to incorporate different tech tools, and get a list of books that can be used in the classroom to engage students while teaching concepts. TASL Lunch & Learn webinars are free. If you are not able to attend the Lunch & Learn webinar live, you can still register and you will be sent a link to the recorded video of the webinar.